Ayurveda also suggests some herbal remedies that help manage blood sugar levels and keep them from getting unstable. These herbal remedies are said to help stimulate the production of insulin and strengthen the pancreas, further keeping blood glucose levels in check. Here are some herbal that can be used in diabetes. Giloy is known as the herb of immortality. The leaves of the plant play a major role in stabilizing blood sugar levels and controlling diabetes. It is a great herb to boost immunity for having bulk of antioxidants that damaging free radicals. The herbs also acts as an immunomodulator that controls glycaemia in the body. It is a natural way to suppresses craving for sugar. Moreover, it ups the production of beta cells of the pancreas. It results in smooth regulation of insulin and glucose in the blood. Giloy also helps improve the digestive system & thus keeps blood sugar level controlled. Infuse giloy powder or leaves and bark of the herb in water over night and drink it early in the morning. Vijaysar is said to maintain blood sugar level and control diabetes well. It helps reduce the symptoms associated with diabetes that include frequent urination, overeating and burning sensation in the limbs. It also tends to improve the digestive system and improves the insulin production level in the pancreas. Vijaysar tumblers are easily available. Add water in the tumbler and leave it overnight. Drink it in the morning. Vijaysar can be consumed in the form of powder. Ingesting the powdered gurmar leaves along with water half an hour after lunch and dinner benefits the diabetic patients. This may help regulate the absorption of carbohydrates in the body. The smooth and glossy dark green coloured leaves along with the flowers are known to acts as natural medicine for type-2 diabetes. Chew fresh leaves of sadabahar to manage blood sugar level naturally. Another way to use it is to take the pink coloured flowers of the sadabahar plant and boil them in a cup of water. Strain the water and drink it every morning on an empty stomach. Dalchini is a sweet but pungent bark of the branches of cinnamon tree. it helps to improve blood glucose levels and to increase insulin sensitivity as it is containing large amount of antioxidants. Add a small bark of dalchini to a glassful of water and leave it overnight. Drink it next morning empty stomach. They are high in fibre, which helps lower blood sugar by slowing down digestion and absorption of carbohydrates. They are a rich source of vitamins, minerals and antioxidants. Besides, they have an unusual amino acids, having anti diabetic properties such as enhancing insulin secretion under hyperglycemic conditions and increasing insulin sensitivity thus helping in the treatment of type I & type II diabetes. Soak 1 tea spoon of fenugreek seeds overnight in ½cup of water and gulp next morning with 1 cup water. Neem has been an integral part of Indian medicine since long time. Almost all parts of the neem tree have been used for a variety of diseases. Neem leaves are loaded with flavonoids & glycosides which may help manage blood sugar levels and ensure that there is no sugar in glucose. Boil neem leaves 20-30 in no in 300 ml of water for 5-10 minutes. When water level reduces to half, stop heating and strain the water. Drink the decoction 2 times a day. Flavonoids contained in curry leaves are beneficial to boost insulin activity. Consuming the leaves regularly as a part of diet can help control diabetes. Fiber contained in curry leaves have important role in decreasing blood sugar by inhibiting absorption of excessive carbohydrates in digestive system. Eat 10-15 fresh curry leaves after washing them daily in the morning or make a chapati stuffed with curry leaves. Turmeric or haldi is a herbaceous perennial plant of ginger family Curcumin is the yellow coloured bioactive constituent of haldi. It possesses a wide range of properties like antioxidant, anti inflammatory and anti diabetic. Curcumin reduces glucose level and lipids in blood and helps overcome insulin resistance. 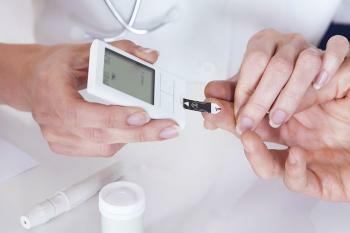 It also plays a role in preventing the complications that are seen in diabetics. Make a turmeric tea by adding ½ teaspoon of haldi powder to 200 ml water. Add 1 pinch of dalchini powder and 5-10 leaves of tulsi. Boil for 5 minutes and then take it 2 times a day. Instead of water, milk can be used. As diabetes is a widespread and persistent problem in India and has direct impact on other vital organs of body like heart, kidneys, eyes & nerves. Therefore we must wakeup before the time slips away and avoid dreadful complications, we must come under the shelter of these natural herbs and make their maximum use in our daily life. Nearly 90 million people of India may have type 2 diabetes by 2030. One must opt ayurveda to cope up with the burdan of diabetes and its complications. Methi seeds have an unusual amino acid, having anti diabetic properties such as enhancing insulin secretion under hyperglycemic conditions. Curcumin reduces glucose levels and lipids in blood and helps overcome insulin resistance. It also plays a role in preventing the diabetic complications.